June News | Hampton Industrial Services, Inc.
We hope everyone is enjoying their summer! After a couple of weeks working at our facility and near home, the crews are spreading out across the country! Before heading back on the road, however, our crews took the opportunity to do a little corporate bonding. 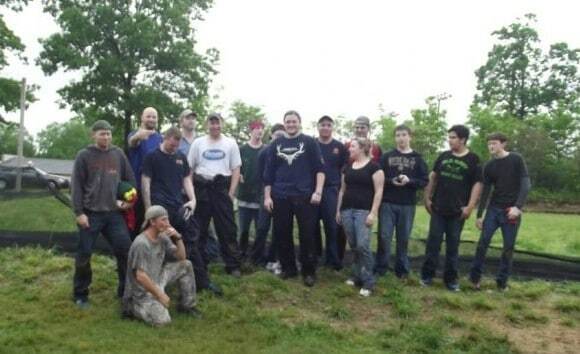 Doug treated everyone to a morning of paintball wars….it was a very colorful and entertaining event! The participants endured a steady rain just for the opportunity to paint each other….and no injuries were reported! After all this fun, it is back to work. One crew is on their way to City of Industry, California for the installation of a new Apstar corrugated unit. 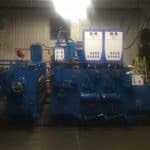 The other crew is heading to Lakeland, Florida to relocate a Ward Flexo Folder-Gluer from Lakeland Florida to Jacksonville, Florida. Our crew in town is putting the finishing touches on an S&S 707 machine that they have been completely refurbishing and is listed for sale. We are looking forward to more work that is already scheduled for July on the west coast. It is truly an exciting time to be in the Corrugated Box Industry! As we celebrate our nation’s birthday we want to wish everyone a safe and Happy July 4th Holiday!